Summary: “Cinder, the cyborg mechanic, returns in the second thrilling installment of the bestselling Lunar Chronicles. She’s trying to break out of prison—even though if she succeeds, she’ll be the Commonwealth’s most wanted fugitive. Halfway around the world, Scarlet Benoit’s grandmother is missing. It turns out there are many things Scarlet doesn’t know about her grandmother or the grave danger she has lived in her whole life. When Scarlet encounters Wolf, a street fighter who may have information as to her grandmother’s whereabouts, she is loath to trust this stranger, but is inexplicably drawn to him, and he to her. As Scarlet and Wolf unravel one mystery, they encounter another when they meet Cinder. Now, all of them must stay one step ahead of the vicious Lunar Queen Levana, who will do anything for the handsome Prince Kai to become her husband, her king, her prisoner.” (Summary found on Goodreads). 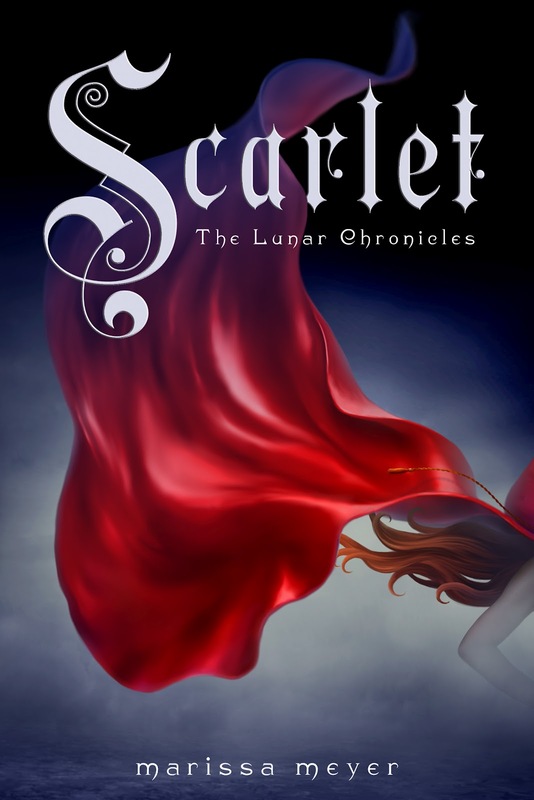 Scarlet is a wonderful second book in Marissa Meyer’s Lunar Chronicles. It introduces new characters that I like just as much as the old ones (which are still important). There is a little more romance and violence in this book, but not too much that the age would be brought up. Meyer writes very well and kept me hooked too. I love the plot of this series because it is so original and very creative. She uses plenty of higher vocabulary words, so younger readers would not understand. This book would be near impossible to comprehend without reading Cinder because it introduces everything and Scarlet picks up where it was left off. I highly recommend Scarlet to anyone who loved the first book and is a fan of dystopian novels or fairytales.